I love this Agatha Christie quote because, like ninety-five percent of writers, I have a day job. And my day job involves washing a lot of dishes. You see, I run a small guest house in Edinburgh called The Balmoral, not to be confused with a certain palace of the same name! 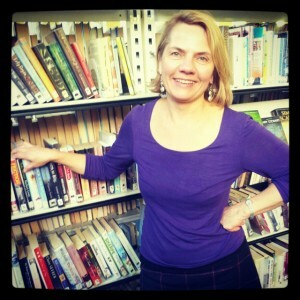 In fact, I have two day jobs: I am also director of the online creative writing school, www.writingclasses.co.uk. Why www.writingclasses.co.uk.? I love writing and wanted to share my passion for it with others. I also happen to believe to teach a skill is an honourable way to earn a living. In the words of Hanif Kureishi “I felt if I knew something, I should pass it on.” And so do my tutors, who are a great bunch of writers. Finally, I’d love to hear from you. So do get in touch, whether it’s about one of my books or running a guest house, or just to say hello :o) And if you want to follow the blog and get regular updates from me, it’s as easy as clicking in the link below. PS: Before becoming a writer I did many things, including being a croupier, a marketing manager, a chambermaid, a cashier, a Brussels sprouts picker, but mostly I was a teacher. I taught English and/or Drama in Germany, Spain, the Republic of Kiribati and Papua New Guinea. I also wrote plays. 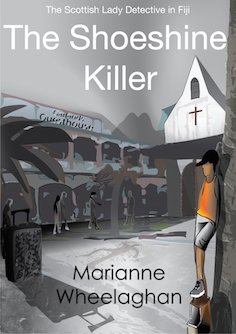 Hi Marianne…Thanks for letting me know about your “blog”, especially since I found out more about the background of “Blue Suitcase” . It remains one of my all-time favorite books and has a place in the bookcase that holds my “special books”… all the Ray Bradbury books ever written and my favorites about space travel, fairy tales, childrens’ books illustrators, etc. Also appreciate knowing there are a couple of “outlets” here in the States for your books as trying to bridge the high finances of our unmatched coinage is a headache for both of us! I don’t know if you remember this about me, or not, and probably “not” because you’ve a lot of people coming in and out of your B and B…I and the gal I was with were attending the International Rhododendron Show at the Botanical. I so fell in love with Scotland and the Scots that I’m now an associate member of the Scottish Rhododendron Society…and the only way we’ve EVER figured out to get my annual dues paid is if I send them $50 cash!! Brilliant to hear from you here, Mary! And thank you so much for your kind words about The Blue Suitcase. To be on the same shelf as Ray Bradbury is one of the highest compliments I’ve received 🙂 I do remember you and your friend – a plant lover is a big thing in our family, in fact my sister is a horticultural therapist and Botanical Gardens lover (we all love the Botanics!) and so your love of Rhododendrons resonated! I’m back, it’s been a while since I went through 3 of your online courses and since then I have…. well… mostly procrastinated with my writing…. no excuse, the devil that is self doubt swallowed me whole! Roll on 24th August and Novel Writing 2. My best friend is always preaching that I need to expand my reading tastes beyond crime or supernatural fiction, as this would help me on my travels towards completing the novel / series that has been niggling at my brain for about 10 years. I suppose knocking on the door of 40 may have helped with the motivation to pull the finger out of my proverbial! Next on the reading list – The Blue Suitcase, certainly a shift in my reading tastes, but from what I have read of the reviews, it is more than worth my time to study not only the story but the style. Well done on your success Marianne, you more than deserve it. Hi Cathy, it’s lovely to have you back and thank you for your kind words! I am sure you’ll enjoy Novel Writing (2) – it starts on the 24th September, though not August(!). As you say, the devil that is doubt can be very, very immobilising, but the other thing about writing is that it needs time. It’s great that you have found some and that you have most definitely not given up. I didn’t know you were a fellow crime fiction fan! Excellent! 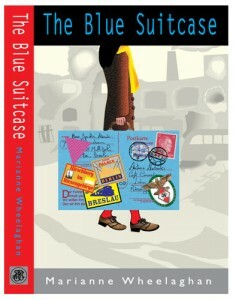 And although The Blue Suitcase is not crime, I hope you find it gripping ( in its own way) nevertheless! thanks Marianne, that was a typo. There is no chance I will forget the start date of the course, as it just happens to be my 20th wedding anniversary too. Hello Marianne. 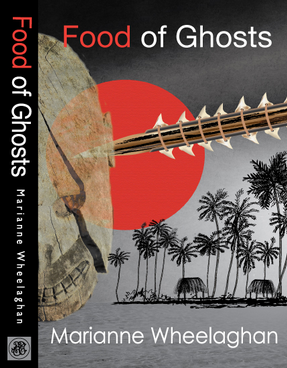 I love the title “Food of Ghosts”. Yep, too many thoughts result in inertia, at least for me, but you are talking my language when you mention Brussel’s sprouts: two consecutive years picking in Lincolnshire during college hols acquainted me with the little, green sods! I came across your blog while researching James Brydon WHEELAGHAN. I am helping with a website http://www.spirits-of-gallipoli.com and to date have been unable to find any info on this soldier who paid the ultimate sacrifice at Gallipoli while serving with the AIF. I wondered if you were a relative and whether you would consider sharing any info you might have on him. Ps – Sandra, do you know for sure that his James Brydon Wheelaghan was at Gallipoli? Just wanted to leave a wee message on here,to let you know my dad has just read your book food of ghosts with great delight!! He loved it! He says that even though your characters were fictional, he has a feeling he knows who some of them were based on….and you mentioned my aunty’s hotel as well! !He’d love to go back but sadly my mum isn’t fit to travel. Anyway.thankyou for making a 73 yr old man pick up a book again! !I was truly amazed he’d read it so quickly!